Writing is a skill that most people use every single day, whether it be writing a note to a friend or writing a check to a utility company. Even in the age of technology, the written word is still everywhere. But how do you teach a young child the proper way to write? The first step is simple… pre-writing. Pre-writing is learning the skills necessary to begin writing. Pre-writing is an important step because it teaches children the correct way to hold a pencil, how to use a good, firm grip, and emphasizes the use of fine motor skills. Pre-writing also helps children with the development of hand/eye coordination, learn that words go left to right, and that lines of writing go top to bottom on a page. Ideally, the first materials used are not markers and pencils but materials that allow children to strengthen the muscles in their hands needed to properly hold writing implements. We add a tactile (kinesthetic) component when we practice shaping the letters with different materials. 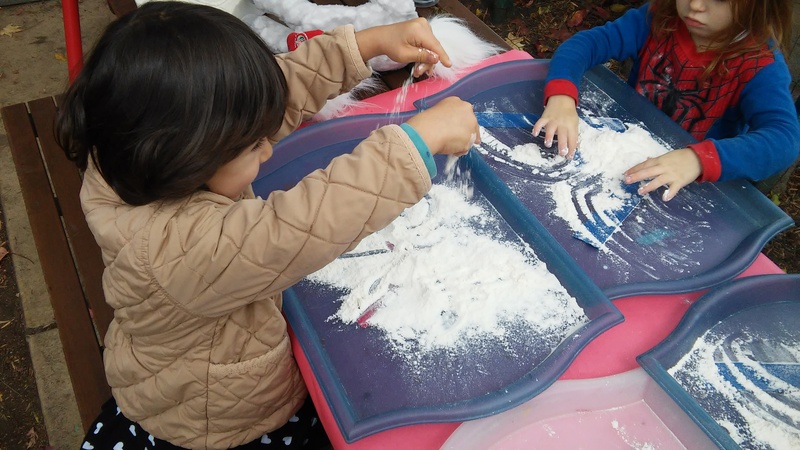 Shaping letters with dough, tracing them on textured paper cutouts, and writing in the sand or salt trays all help children internalize the shape of the letter, while developing their fine motor skills. 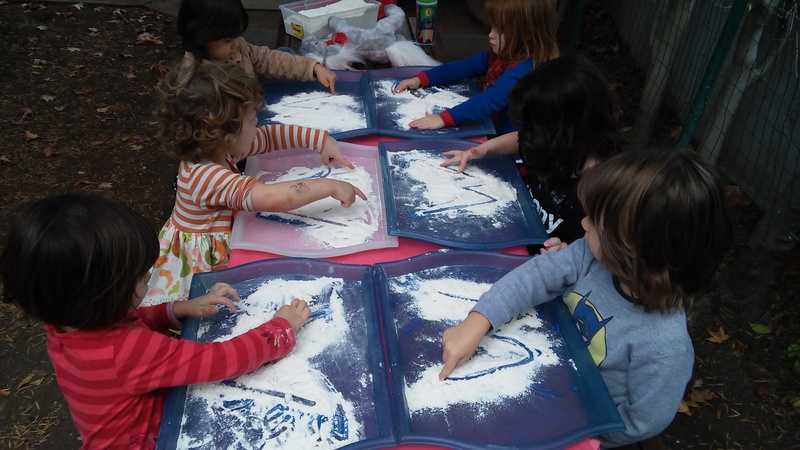 For this activity, we practiced tracing the letter W with flour! Your child was directed to trace the letter W into the flour. Doing so helped your child develop stronger familiarity with the structure of W, integrating the sense of touch to create a visual representation of the letter.